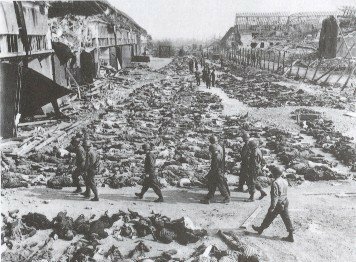 It is a matter of history that when Supreme Commander of the Allied Forces, General Dwight Eisenhower, found the victims of the death camps he ordered all possible photographs to be taken, and for the German people from surrounding villages to be ushered through the camps and even made to bury the dead. This week, the UK removed The Holocaust from its school curriculum because it ‘offended’ the Muslim population which claims it never occurred. This is a frightening portent of the fear that is gripping the world and how easily each country is giving into it. who were ‘murdered, raped, burned, starved, beat, experimented on and humiliated’ while the German people looked the other way! 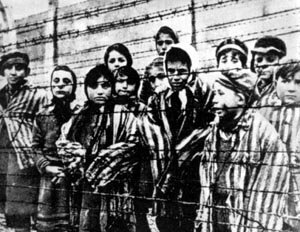 Now, more than ever, with Iran , among others, claiming the Holocaust to be ‘a myth,’ it is imperative to make sure the world never forgets. How many years will it be before the attack on the World Trade Center, ‘NEVER HAPPENED’ because it offends some muslims??? ‘Just passin thru’As far as I know THIS has not happened…Many of our schools still visait sites and we remember Holocaust memorial day in most schools…I know the BBBC journalists are anti semetic but not most school curriculmn…A Christian with a heart for Israel..SHALOMI lived in the us for 6 yrs and also visited there in 1999where my dear friend Haya who lives in ramot met me at the bus station in Jerusalem…Blessings…. It really frightens and saddens me that people willingly “forget” history. Where is truth? Don’t people care about truth anymore? Mid, I just found your blog! Now you’re in trouble, ’cause I’m adding you to my blogroll! Thank you for posting this extremely important reminder and post. I shudder to think what will happen if ever we forget (or rather if history is changed). I am amazed at how quickly the whole world (it seems) is bowing to Islam for fear of offense. Great job here!